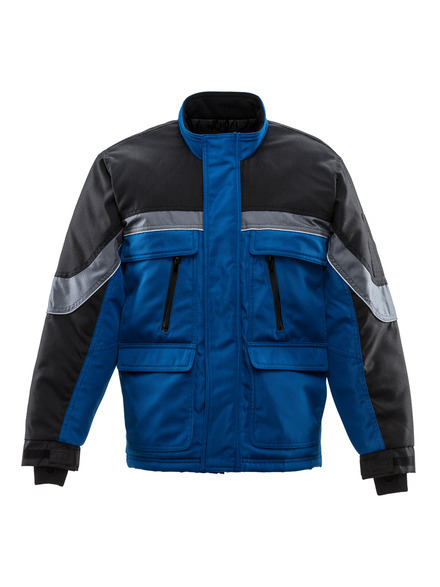 A perfect field jacket with 13 pockets for storage, the ChillBreaker® Plus Jacket is great for anyone who utilizes multiple tools and needs ample storage space. Whether indoors or outdoors, you will stay warm in below freezing temperatures thanks to the durable outershell, diamond box quilt insulation and taffeta lining. 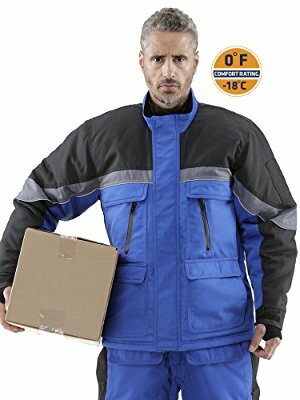 The ChillBreaker Plus jacket updates RefrigiWear’s original ChillBreaker design with a more modern look and extreme functionality. Comfort-rated to 0°, the ChillBreaker Plus Jacket’s outershell, insulation and protective coating combine to ensure you stay warm in cold conditions. 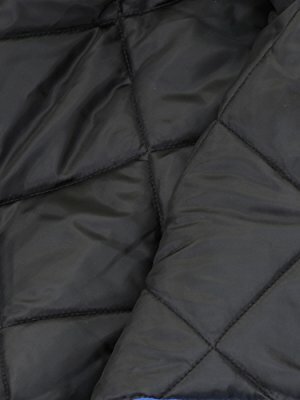 Diamond box quilt insulation with taffeta lining keep heat trapped close to the body, while the water-repellant, wind-tight & breathable coating on the outershell keep the conditions you are facing from making you colder. No matter what your vital gear is – whether it is tools for getting the job done, gear for fishing or hunting, or even protein bars to get you through the day – you can keep it all close by with 13 pockets. 4 hidden-snap bag pockets on the front of the jacket are great for secure storage. The pencil pocket on the left sleeve keeps pens and pencils close at hand. 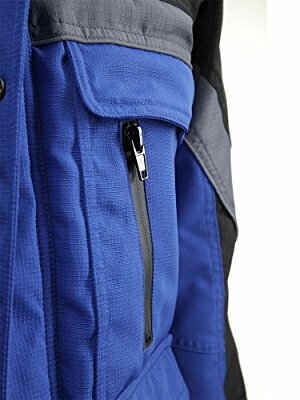 2 chest pockets with waterproof zippers offer secure storage and added protection for sensitive gear. 2 hand warmer pockets offer additional storage space and additional protection for your hands when needed. 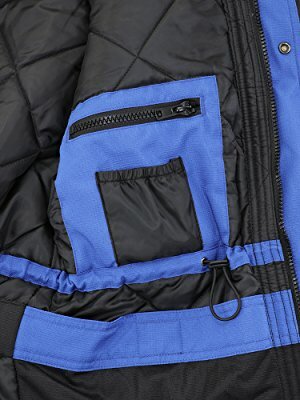 2 inside zipper pockets and 2 inside bag pockets offer secure storage with the benefit of additional security and protection being inside the jacket. Drafts can create uncomfortable chill and bring in the elements. 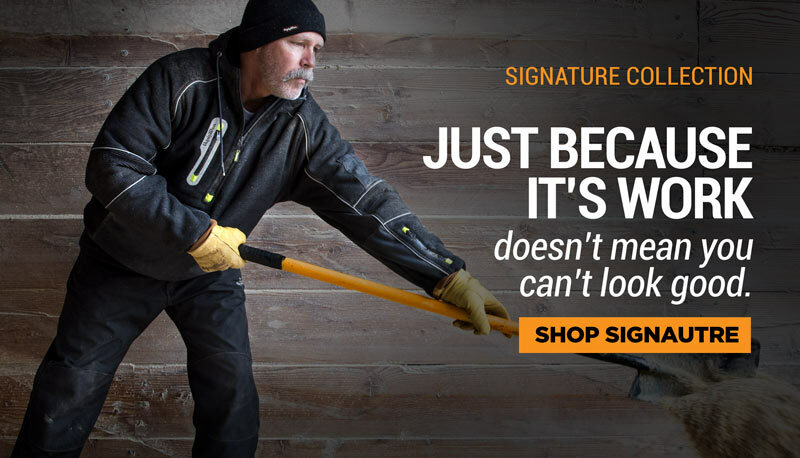 Protect yourself and stay warm with features designed to seal out drafts, such as Velcro adjustable cuffs. Get a more comfortable, snug fit by adjusting the Velcro on each sleeve. Each cuff also features an inset knit cuff with thumb hole. 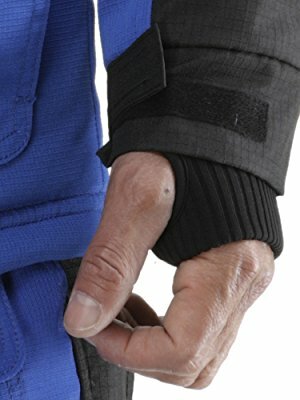 The thumb hole not only helps keep drafts out, but prevents the jacket from slipping when moving your arms. 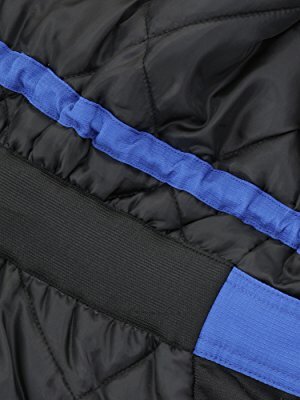 The elastic waistband inside the jacket helps provide a better fit and protect against drafts.